For many families, the holidays mean spending time with loved ones, forming tradition and memories. 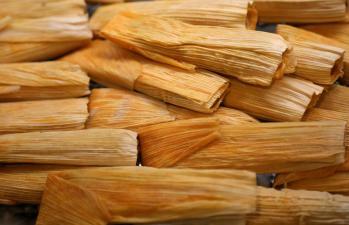 Often, those traditions involve food, and for a number of families with Hispanic heritage, that includes tamales. These gatherings, known as Tamaladas, allow families to cook the labor-intensive tamale. Recipes are passed down through generations, but typically the heart of the dish is a bit of seasoned meat—pork or beef—surrounded by masa, which is a corn, lard and spice mixture. The mixture is carefully wrapped in a cornhusk and steamed. For Augustine Gonzales of Monica’s Mexican Food Truck in Wichita, this practice is one he remembers fondly from his childhood. 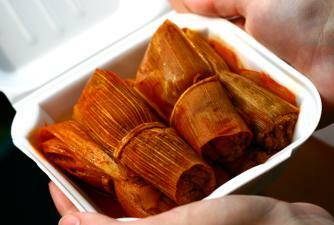 Monica’s has gained a cult following in Wichita for its tamales. Serving in the area for the past two years, Monica’s offers both red and green tamales. Gonzales says customers prefer the spicier green tamales.